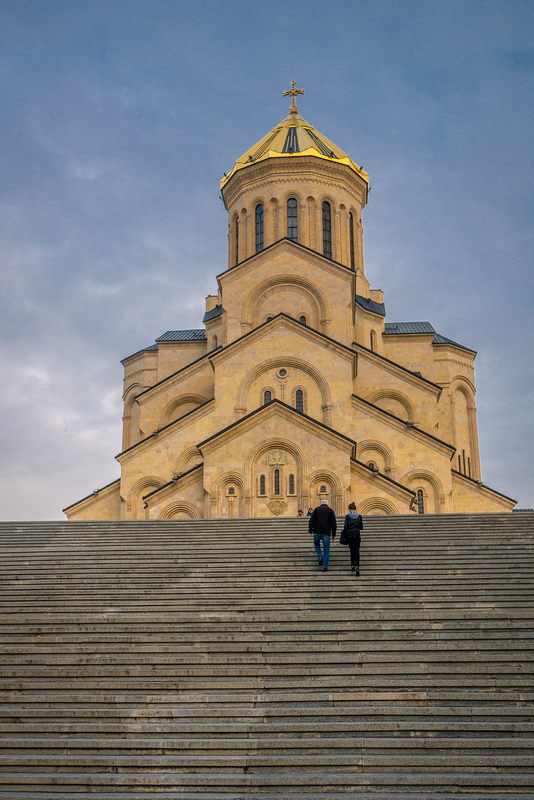 The resilience of the Georgian spirit shapes my favorite aspects of traveling there. Throughout history, this tiny country has offered the world everything from cowboys to wine. This is one of the most unexpectedly lovely countries that I have encountered on my travels. I spent the bulk of my time in the capital, and Tbilisi won me over with subtle charms and gentle nudges. One of the key reasons for tourism is the country’s location in the lower Caucasus mountain range. This means there is ample hiking (best in spring and fall) as well as skiing in the winter months. But beyond the mountains, which are stunning, the people of Georgia are wonderfully welcoming and hospitable. The country has only begun rapidly expanding for tourism since 2008, so it’s a budget destination and the internal road infrastructure is a bit rough. Backpackers can navigate easily on a budget, but there are also many cozy and beautiful high-end options for travelers looking for comfort as well as culture. The Republic of Georgia is utterly charming and I highly recommend adding it to a Central Asian trip, or as a single destination in its own right. Continue on for a look at the history and travel facts you’ll need to know before you go! Or skip right to the city guide recommendations. You would be forgiven for wondering if Georgia’s a part of the Middle East. The actual vibe, however, is European. Part of what makes traveling this area so fascinating is the sheer amount of history contained in a small geographic area. In the absence of context, it’s hard to imagine what Georgia’s like. On the edge of the Caucasus Mountains, the country is neighbored by cultures as varied as its topography. Once a stop on the Silk Road, the city became a confluence of the civilizations over the millennia. This peculiar positioning means many consider Georgia a part of Europe or Asia, depending on who you ask. And you would be forgiven for wondering if it’s a part of the Middle East. But the actual vibe: It’s European. Part of what makes traveling this area so fascinating is the sheer amount of history contained in a small geographic area. Wine is a big part of the Georgian culture and for good reason: archaeologists found the oldest traces of wine production in present-day Georgia. The wine-production dates back as far as 8,000 BC. Even more, Georgians have a unique clay-jar process of winemaking that has even made it onto the UNESCO list for Intangible Heritage. This history is important, alongside the religious history, because Georgians are very proud of their preserved cultural heritage and legacy. 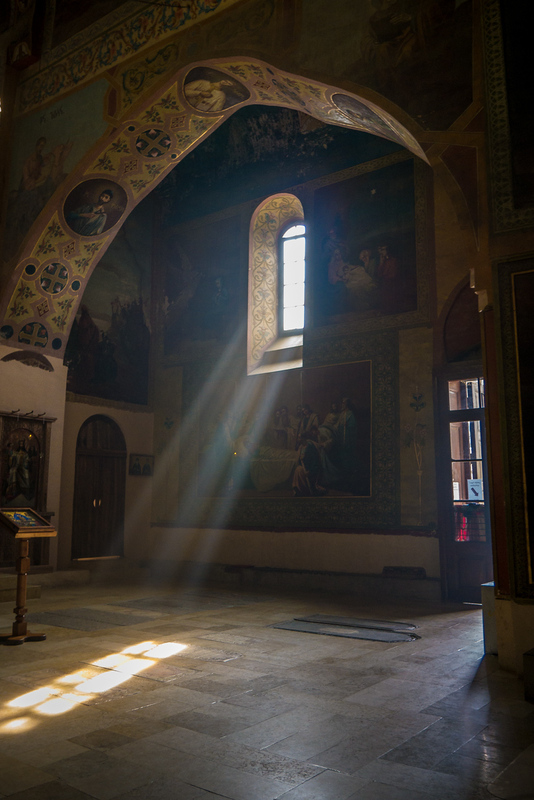 Christianity came to Georgia in the first century, and now Georgia is predominantly Eastern Orthodox—to the tune of 84%. The country is dotted with monasteries and churches, giving the country a visible and strong Christian presence. It’s actually this adoption of Christianity that is credited with aligning Georgia more with European culture versus the surrounding Middle Eastern culture arranged around Islam. While a country’s ancient history plays a part in any trip, so too does recent history. For countries with recently attained peace, understanding a foundational history is paramount. It shapes the experience with compassion and empathy. It invites the visitor deeper into the psyche of the culture and people. Only by understanding the past can you enjoy what makes Georgia unique. Georgia was a part of the former Soviet Union. The country also dealt with political and social unrest throughout the 90s and early aughts. After the fall of the Soviet Union, Georgia has a precarious and complex relationship with Russia. Most international governments recognize that Russia is occupying two areas that belong to Georgia—South Ossetia and Abkhazia. This is an ongoing point of contention, with the country going to war with Russia in 2008. All of this is a current stressor on present-day Georgia, so it’s important for travelers to understand the history, be sensitive to the political nature of this topic, and always research the current safety of these two contested regions if planning a visit to anywhere in that area. Water: Yes and no. While most claim it’s generally safe in the city centers, it can vary widely throughout the country. Interestingly, Georgian Mineral water is highly rated, tasty, and a big export item. It’s affordable to buy bottled while there. Internet Situation: WiFi is rampant; available at most guesthouses and cafes. Also central Tbilisi has a free WiFi network, TbilisiLovesYou. Some places may even boast fiber-optic networks. Local SIM: This is a cinch and highly recommended for language translation and such. I had speedy, cheap 4G throughout Tbilisi. When you arrive in Tbilisi, there are a handful of Magti shops (Google it or ask your guesthouse). Bring your passport and for less than US $10 you can get a SIM and high-speed data. This will work in most non-mountainous regions of the country. Visas: Americans, Canadians, and those with EU passports do not need a visa to visit, and they may stay in Georgia for up to a year. For other countries, check your visa requirements here. Language: Georgians speak Georgian, which is its own unique language and has its own alphabet. Most locals also speak Russian. English is only prevalent in touristy areas of Tbilisi and some of the mountain ski regions. Have patience though, as Georgians have a deep culture of hospitality and will work with you to communicate. Safety: In the wake of Georgia’s 2008 Rose Revolution, the country is safe and growing. The police department cleaned up corruption and many Georgians assured me their country was safe for solo travelers—after having wandered solo for weeks, I agree. Use caution if you’re visiting areas near the Russian-occupied areas of Georgia. Also, I highly recommend picking good travel insurance before you leave—World Nomads is a solid choice. You can also check the latest U.S. Government warnings. Budget: This is a pretty decent budget destination. It’s not rock-bottom, but the Georgian Lari lost value over the past few years, making it a more affordable travel spot. Everything is moderately priced and wine and food is reasonable, so you can eat well here. Plan on moderate, average budget of US $30-45 per day for a single person, slightly less per person in a couple. Couples can share private transport for an affordable way to make the travel more comfortable. Your budget will likely lessen outside the capital. This is a good single day solo budget (does not include averaging in price of day-trips). Festivals of Note: Tbilisoba takes place in mid-October every year. Information in English can be scarce, but you can often find the dates and schedule on the Georgian Tourism website. I also just Facebook messaged the tourism board and asked for the schedule in English and they sent me one. 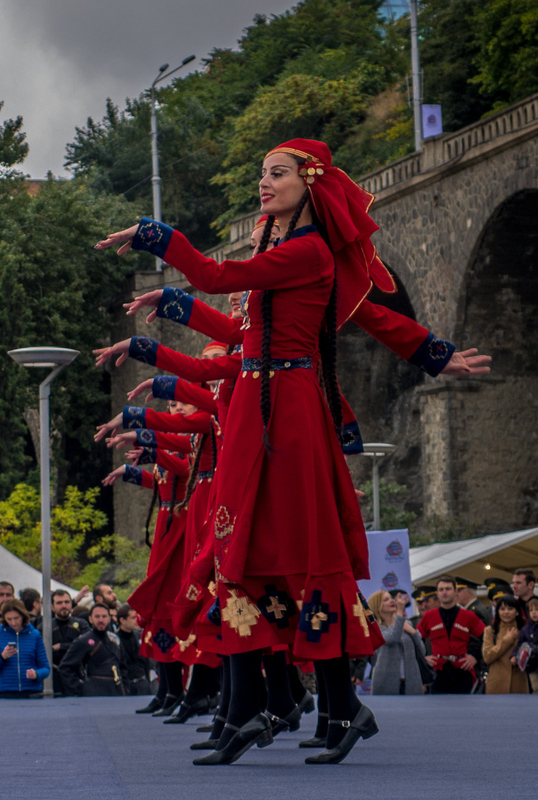 It’s a huge cultural event that takes over Tbilisi for a number of days and it’s a great way to taste a range of foods and see a broad representation of Georgian song and dance. There is a Black Sea Jazz Festival in Batumi in July. Tushetoba in Tusheti in early August is cultural and looks fascinating and fun. Food Considerations: Georgians are quite proud of their national cuisine, and it’s also popular in Russia and other countries. It’s tasty! They many several signature dishes that you can try at every price level. Nice restaurants will have fancy versions, but there are also many fast street-eats versions too. The food is very bread and cheese based, with fresh salads and meat also quite prevalent. Food and wine is affordable and a big part of traveling Georgia—they enjoy the ceremony of meals! Vegetarians can get by, but celiacs and vegans will have a harder time since bread and cheese are the base of most dishes. This is the best food guide I’ve seen, and it includes the dish names in Georgian, too. Accommodation: Finding a place to stay is easy. 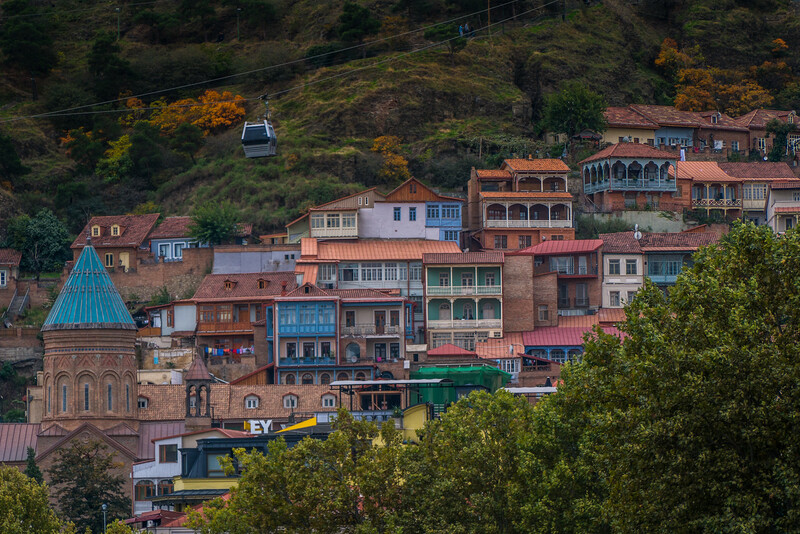 The country has rebounded strongly from the issues of the mid-2000s and with the Georgian focus on hospitality you can expect comfortable accommodation at every price level. I used Airbnb for my stay in Tbilisi and it was fantastic. I was Old Town adjacent and everything was cozy and well-appointed. You could also find budget options on Booking.com—you want to stay near the City Center, Old Town, or the River—ALA readers receive a discount on their first booking. Transportation: Georgian driving is not the safest. Wear a seatbelt, the country has some of the highest traffic accident rates in the region. There are trains between a few of the cities, otherwise there are minibuses (marshrutka) connecting all major cities in Georgia, as well as connecting Georgian cities to its neighbors. Also, it’s surprisingly affordable to hire private transport if you’re in a group to split the costs. For more transport information, Seat 61 has a detailed regional guide. Possible Issues: Georgia is one of the safest countries in Europe (except the two occupied areas). Corruption is now low and it’s safe to walk around. Altitude sickness is a possible issue: Be warned and be cautious if you are visiting the mountains. Socially Responsible Travel: If you’re trekking, consider these tips for responsible travel. Even with extensive research and asking locals, I could not find any social impact organizations in the country. It seems like sustainable and community-based tourism organizations have a goal of implementing projects by 2020, so ask around! One More Year: A fascinating account of stories from across the collapsed Soviet Union. This collection of stories explores everyday life and culture alongside the fallout from this region’s history. The Caucasus: An Introduction: The one book you should add to your Kindle if you are visiting the Georgia and/or the Caucasus region. Journalist Thomas de Waal takes a close and well-accounted look at the turbulent history of this region, as well as the cultural nuance that makes it a fascinating region to explore. Georgian Folk Tales: A fun way to learn more about Georgian history. These are free here as a part of project Gutenberg, but it might be good to spring for the $2.99 for a clean reading experience. Fiction from Georgia: This is not in a travelable form, only in paperback, but it’s the newest collection of fiction recently translated from Georgian authors. A Pilgrimage to the Cradle of Wine: This NY Times longread takes a close look at Georgia’s remarkable history of winemaking and why it’s such an important part of our collective world heritage. Time Turned Back: On the Use of History in Georgia: An interesting read about how the Soviet Union used historians and the manipulation of history to push ideology and shape Georgia differently.. This loads up as a PDF that you could download and put on an e-device. Adjika: Sauce of Glory, Pride of Abkhazia: A dose of Georgian history through a struggle to identify the origins of adjika, a delicious sauce from this region. Fascinating longread. Reasons to Love Tbilisi, Georgia: I wrote this piece and it gives a good overview of what you can expect from a visit to the capital. It enumerates all the reasons I crushed hard on this pretty little capital city, as well as the Georgian culture. Recommended Guidebook: Bradt has the best guides to off-beat locations, so the Bradt Georgia Guide is a solid chioce if you are only heading there. Otherwise, if you are in the region, the Lonely Planet Georgia, Armenia, & Azerbaijan offers solid transportation sections of any guidebooks, along with budget eats, and discount ways to navigate a country. In places a bit off the grid like Georgia, guidebooks come in handy. For sites and historical information, few traditional guidebooks offer that, so consider using an app like Georgia Audio Guide for walking tours around the major cities and sites (it has a mix of free and paid guides). Read all my stories about Georgia, explore photos from Georgia, and find other regional travel book recommendations. 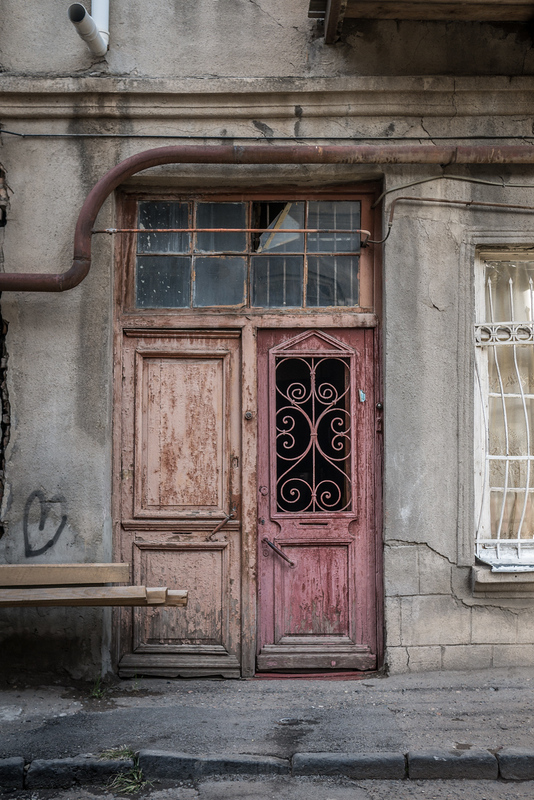 Wandering the streets of Old Town Tbilisi with a camera in hand. Climbing behind the gorgeous David Gareja monastery for views of Azerbaijan. Sipping tea in a Parisian style cafe overlooking the river in Old Town. Visiting the Mother Georgia statue at night and meeting local friends. Accepting the many offers of genuine hospitality and friendship from Georgians. Such a charming city and one of my favorite spots in the world. You can fill many weeks just exploring the town, and relaxing at the adorable coffee shops scattered all over Tbilisi. My post shared a high level view of the many things to do in Tbilisi, as well as why it’s just so charming. Visit Narikala Fortress. This site is gorgeous and looms over Old Town. The aerial tram in the easiest way to get to the fortress, it drops you just at the base and then you can wind up into the ruins. There are very little safety measures though, and you can climb up some crumbly areas, so be warned. It’s very pretty views at the very top but you will have to climb with all four limbs just a short ways. This is near the Mother Georgia, but best to be visited with enough time to just see it. The views are also stunning at night, and the tram is cheap, so consider visiting both times. Wander Old Town. This is the heart of the tourist activities and most of the churches and historic sites are all located in a walkable area. You will likely stay in or adjacent to Old Town, so take an afternoon to simply get lost in the back streets. Climb to the Mother Georgia Statue. This is the symbol of Georgia and Georgians just love her. Consider seeing her up close by climbing up to her from Old Down. Then you can weave down the back side of the hill toward the botanical gardens. This is pretty from spring through fall, and shouldn’t take more than six or seven hours. You can also bail on the hike at parts as there are other transport options near Mother Georgia, so you can just take the aerial tram back down. Try the Sulphur Baths. This is located just near the main intersection in the old part of town, it’s called the Abanotubani area, and is on the south side of the Metekhi bridge. You’ll want to bring a friend and get the full washing/scrubbing experience. Locals also love doing this in the cold weather as a fun activity to get warm and enjoy each others company. Visit a Tbilisi Fresh Market. There are many but the main one is a great spot for a wander and is across the river, near Didube. Don’t miss the Saturday flea market, also known as the “Dry Bridge Market.” This is easy to spot near the river and about 15 minutes beyond (west of) the main Metekhi intersection. It’s fun to wander the antiques spread on the sidewalk, and there’s also a lot of artwork too. Even kids might enjoy poking around the weird and quirky things on offer. I picked up some interesting knick-knacks as gifts for friends that you won’t find anywhere else. Stay at a cute Airbnb. I used Bacho’s tiny apartment and it was just lovely. But check out all of his listings because they are thoughtfully and carefully arranged and beautifully done. And they’re all in a great spot too. I am very happy I chose Airbnb for this trip because it gave me a touchpoint in the city and a friendly, willing ear for my questions. Consider Fox Hostel or Cozy Hostel. Both of these are in great areas of town and have everything you might need. Fox is super clean and a bit quieter. Maria has a backpacker vibe and a tour desk so it’s super easy to arrange things with them. Even if you pick a different hotel, ALA readers receive a discount on their first booking! Stay in a nice spot. I enjoyed staying just near Old Town—this is where the tourism is focused, there is good nightlife and it’s close to all of the major sites. With that in mind, consider Sunny House Apartment and the charming Apartment Piccolo, both of which are midrange prices and in a good location. If you’re there on business, or if you simply want a more formal hotel, then Rooms Hotel for midrange, and Citrus Hotel for a nice place from which to visit the city. These are in a different part than Old Town, but still a lot to visit and see. Visit a Parisian style cafe. There are a lot of these popping up in the city and they are cozy and quiet and a great place to relax with a book. Try Entree (20 Rustaveli Ave) or Cafe Canape (Abashidze Street – Vake). Eat all the foods. Save this food guide and use it to try all of the beautiful traditional dishes on offer around the country. They also have a list of cute restaurants and cafes in Tbilisi. David Gareja Monastery. Just stunning and one of my favorite trips out of the city. It’s pretty far though, and there’s not a lot between Tbilisi and the monastery, so you will surely need transport and/or a guide. I used my AirBnB host, but you can also book a tour near the tourist information booth in Freedom Square (there are brochures and always people there offering services). One reader notes: “make sure you get honey from their shop—it is a divine honey from almond tree blossom.” One of the coolest parts of the visit is climbing behind the monastery to the top of the cliff and looking out into Azerbaijan. Then you go explore the cave paintings and make your way back down. Venture out to Kazbegi. You can do this as a weekend trip and it’s enjoyable. Plan on visiting the monastery on the hill overlooking the village, Tsminda Sameba Church. One reader recommends trying hinkali, a meat dish, at the tiny cafe nearby. This is one of the highlights for people visiting Georgia as the mountains are one of the country’s most prominent features and this page has more information on planning time in Kazbegi. 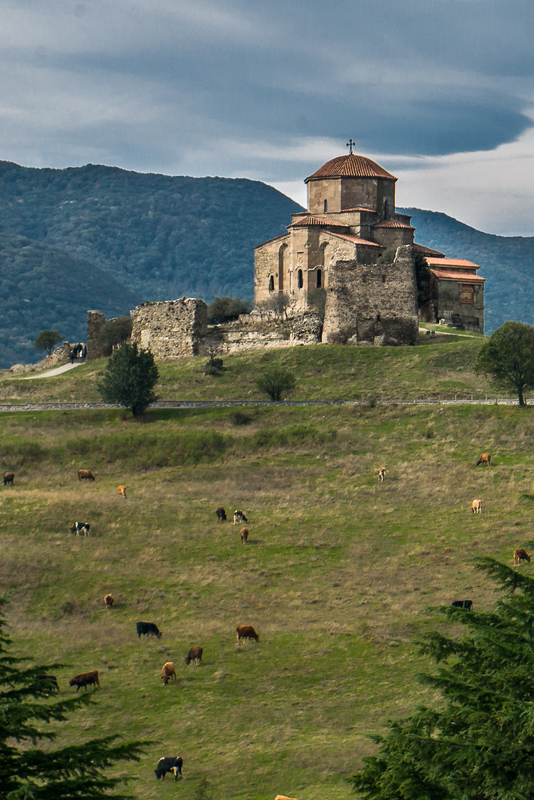 Tour the monasteries and churches near Mtskheta. This is a very, very easy day trip from the city and a must-see as this is the historic former capital of Eastern Georgia and the centre of the Georgian Orthodox Church. Visit Gori and Uplistsikhe. This will be a long day trip, but definitely possible to visit in just a day. 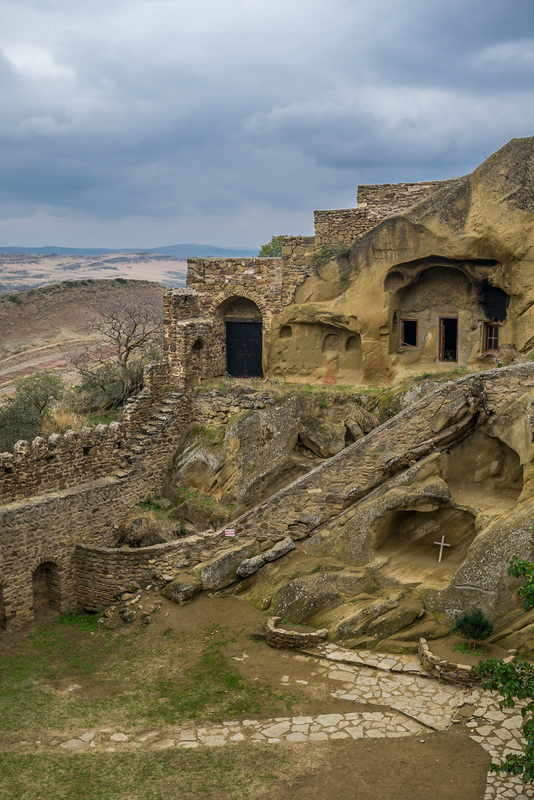 Uplistsikhe is a 3,600 year old Silk Road cave city and Gori is Stalin’s birthplace. Head to Ananuri Fortress, which offers sweeping views along the Aragvi River and is about 45 miles from Tbilisi. You could visit this en route to the mountain towns. Go skiing. The Gudauri Ski Resort is one gorgeous option in Stepantsminda District and just 75 miles from Tbilisi, so easy for those looking for a bit of skiing in addition to other sightseeing and such. Venture into Armenia; the border is not far and you can easily take a weekend trip into Armenia while still keeping a base in Tbilisi. Go hiking in the Svaneti region, arguably one of the prettiest around. The official tourism website has route information on the most popular treks, and this is the best place to research specific trekking ideas for this region. Getting there. You can either take a private transport from Tbilisi (a rental car or a hired driver). Or you can take a the entire 12 hour journey. Or you can split the difference by using the overnight train from Tbilisi to Zugdidi. From Zugdidi you will take a minibus from Zugdidi to Mestia (in Zugdidi, the bus toward Mestia leaves from near Svanish Tower). If you’re sleeping at one of the homestays in Mestia, then you’ve arrived! Otherwise, you will pair up with others heading in that direction and share a jeep to Ushguli. At the end of this post you will find a more detailed guide on how to get there. And as I’ve noted elsewhere, the roads in Georgia have high accident and fatality rates, I would consider trains when possible to cover long distances. Where to sleep in Mestia. Mestia has a large homestay network and it’s a cinch to find one either once you arrive, or you can use the Svaneti Trekking & Tourism Centre to connect with a family within the local homestay network. This group is dedicated to developing regional tourism and is responsible for a lot of the development and infrastructure you will find in the region. I’ve also read from others that Guest House Folk Music (+995-599-15-9694 or [email protected]) is lovely. Have your guesthouse call ahead (or hopefully you took my advice and bought a SIM card since they are so cheap!). What to pack. Trekkers should have a solid waterproofing outer-layer, as well as sturdy shoes, and a strong headlamp for sure. Ask your trekking guide for additional suggestions, but those three things are the bare minimum you should have before arriving in the region. 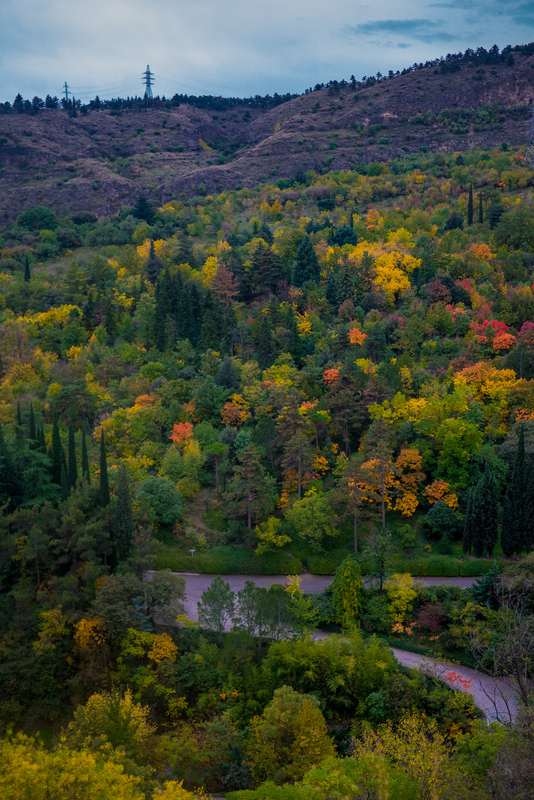 Tour the Kakheti wine region, and learn about the country’s long legacy of wine (Georgia’s wine-making process is actually recognized by UNESCO for its intangible heritage). Do a wine tasting. The Twins Wine Cellar in Naparevli offers a lovely wine tasting and museum to learn more about the unique way that Georgians prepare and process wine. Explore the gorgeous churches. This is a strong list of sights to see while in the region. They took their trip with the tourism board, so it’s everything; you’ll likely want to pick and choose a few of the sights that interest you most when constructing your own itinerary. Swim in the pretty waters of the Black Sea in Batumi. Watch sunset from the Argo Entertainment Complex, with has an aerial tram and cable car with stunning views over the city. Visit the Piazza Square, a landmark and a pretty Italian renaissance square with upscale boutiques and restaurants. Getting there. Taking a train between Tbilisi and Batumi is likely the easiest option. Batumi’s train station is new and very nice (and has luggage storage if needed). You could also rent a car and make it a road trip, taking in all of the lovely towns along the way—if you are doing this, then you won’t need to take a daytrip to see places like Mtskheta (a town with a name I still can’t pronounce! ).